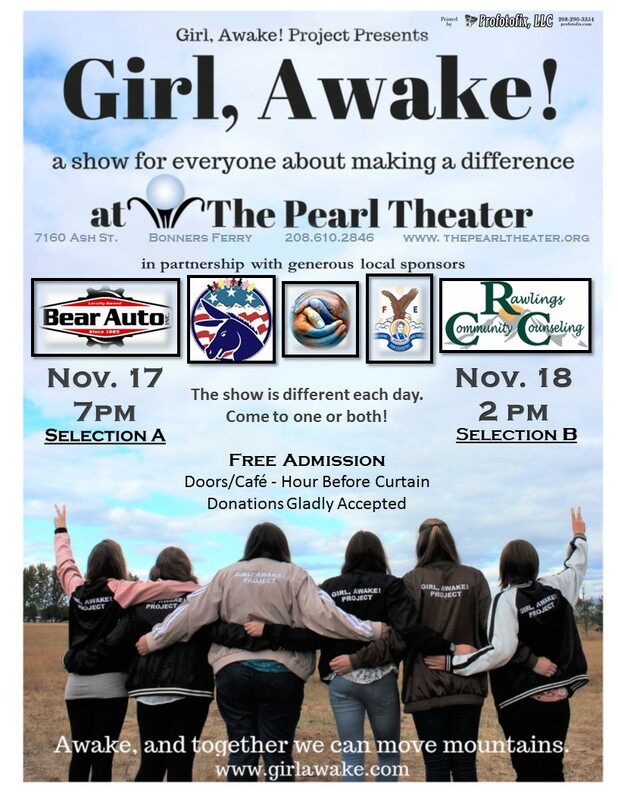 The Pearl Theater presents Girl, Awake!, an original production by Brook Bassett, performed by six girls between the ages of 10 and 17 in two performances at The Pearl Theater on Saturday, November 17th at 7pm and Sunday, November 18th at 2pm. Different performances each day present different issues, so audiences may attend one or both. Girl, Awake! strives to bring themes of youth and social justice to the forefront of conversation. Performers examine age-appropriate, pertinent issues, accessible for all ages and genders. Themes from the show are supported by statistics, demographics, historical precedence, and personal experience, and they are presented through mediums such as theater, dance, spoken word, and literature. 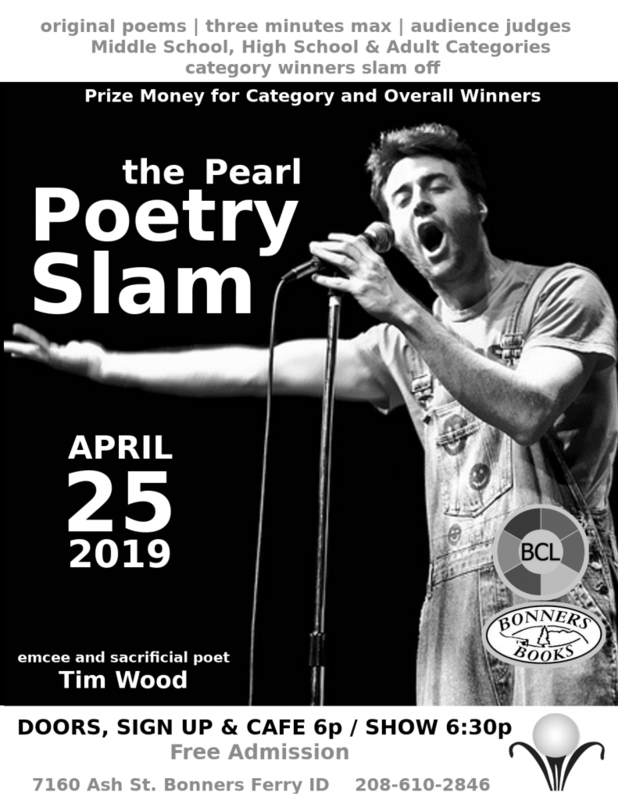 While donations are gladly accepted, the show is free to the public, generously supported by The Pearl Theater, Inc., Rawlings Community Counseling, Bear Auto, Eagles Auxiliary, Boundary County Democrats, and Boundary County Human Rights Task Force. 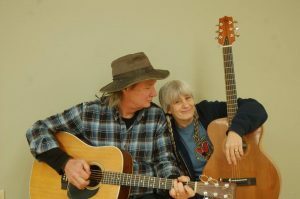 Proceeds from shows are donated to a charity chosen by the performers. For more information about the show or educational information, check out the website at www.girlawake.com. 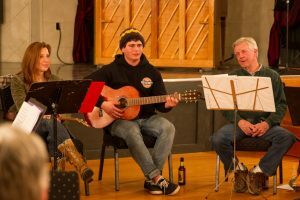 The Pearl Theater, Inc. is a non-profit organization, dedicated to fostering the performing arts throughout Boundary County. 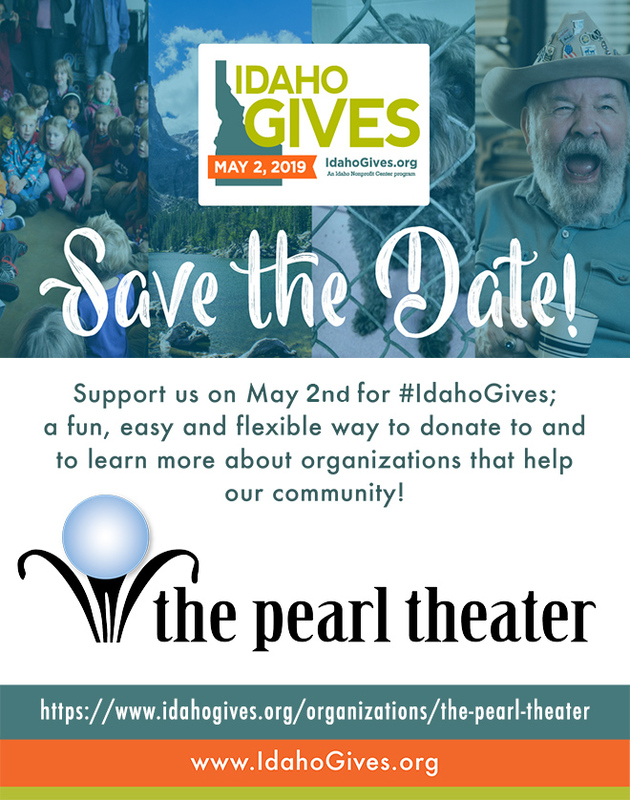 For more information or for membership, please call (208)610-2846 or online: www.thepearltheater.org.